Starting his Mill House journey as Executive Sous Chef Taylor grew into the role of Chef de Cuisine and now Executive Chef. Chef Ponte, a graduate of Maui Culinary Academy, worked alongside Chef Alan Wong, Chef Jonathan Mizukami, and Chef Jeff Scheer prior to The Mill House. With Executive Chef Ponte at the helm, we are excited to expand our support of local farms and continuous efforts towards greater sustainability. Utilizing Chef Ponte’s leadership we welcome opportunities to connect with our community and provide more opportunities for aspiring chefs and hospitality students. 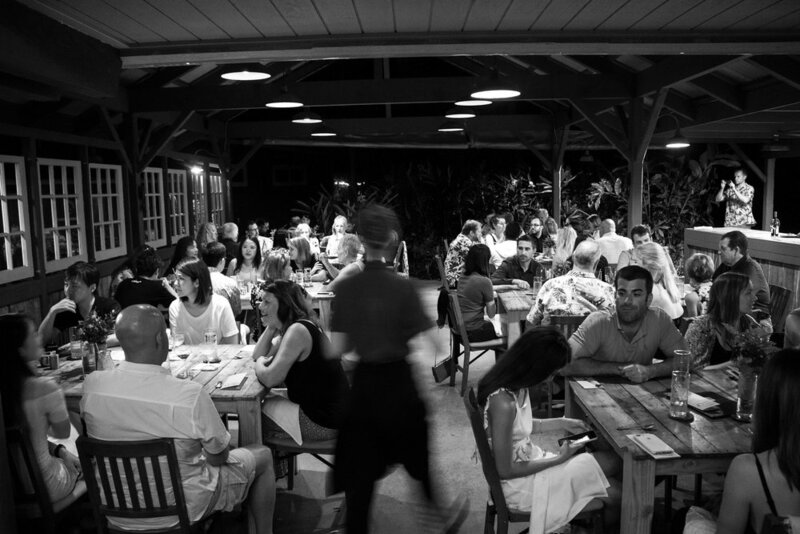 Having been born and raised here on island Chef Ponte has established relationships with Maui’s farmers and ranchers. He uses his knowledge of Maui’s mixed cultures to craft storied dishes. Chef Ponte has his eyes on the dining room and kitchen, working with the entire Mill House team to ensure a wonderful environment, excellent food and memorable service for Maui residents and visitors. Kumu Farms cultivates over 35 specialty crops on 80 acres of the Maui Tropical Plantation grounds. Both organic and non-organic produce is seasonally grown, harvested daily, and served fresh at The Mill House. These three farms are a close part of The Mill House ‘Ohana. It is their sustainably grown and flavorful produce that makes each dish we serve really pop. We are in constant contact with them and receive farm fresh deliveries from them several times throughout the week. Mahalo to Gerry, Ryan and Russell. Look upon the hillside of Maui Tropical Plantation and you will see our Texas Longhorn grazing on native grasses. They are joined by Black Angus, Wangus, and Wagyu Beef, raised by Beef and Blooms, one of the first organic cattle ranches in Hawaii. This family run operation also raises cattle in Upcountry Maui. Growing and roasting 100% Maui Coffees. We brew their 100% Maui Dark Roast coffee for our guests in the restaurant. Visit the Roasting Co. Cafe open daily, 8 am - 4 pm. The mission of the Mill House would not be possible without the hard work of many farmers and ranchers throughout hawaii. Located on the grounds of the Maui Tropical Plantation, Maui Chef’s Table explores the modern tastes and textures of our island’s local and organically grown produce, fruit, and proteins. The open-air kitchen concept allows you to watch as each course is created. Each Chef is uniquely creative and inventive while sharing the same core values for sourcing and preparing food. Being on the Maui Tropical Plantation has it's perks, like having room for our personal coffee roaster; Mill House Roasting Co. All our coffees are brewed from beans roasted on-site, and they have plenty extra to share with you. Visit the roasting cafe where you'll find 100% Maui coffees and Mill House freshly-baked goods! Open 8:00 am - 5:00 pm.